There are FIVE BASIC COMPONENTS to an MFI system. Arguably the most important component of the MFI system is the mechanical fuel pump. It can be thought of as the heart of the system. Mechanical pumps are capable of moving high volumes of fuel at very high pressures. In a Ron's Fuel Injection system the pumps are typically driven off of the crankshaft with a mandrel assembly. There is also a cam driven option available if it is preferred. Electric fuel pumps cannot be used in an MFI system. The mechanical fuel pump is sized to output approximately twice the amount of fuel the engine requires at wide open throttle. The fuel cell is very important in an MFI system. It is imperative that the location, size and utilization of the fuel cell is correct. As mentioned above, this is due to the fact that over half of the fuel delivered by the pump is bypassed from the MFI system back to the tank. Please keep the below items in mind in regards to the fuel cell. Fuel Cell Capacity - An MFI system will use approximately twice as much fuel as with a gasoline carburetor. In a drag racing application, KillerRONS.COM recommends that the fuel cell capacity be at least twice that of the usage per pass. In this form a typical engine uses 1.5 to 2.0 gallons per pass from "trailer to trailer" so a 3 gallon minimum fuel cell is required. That said a 4 gallon is preferred. Fuel Cell Orientation - In a drag racing application the pick-up of the fuel cell needs to face towards the rear of the vehicle so that upon acceleration it is covered by fuel. In this form it is not acceptable for the pick-up to be towards the front or side of the vehicle as this could lead to cavitation of the fuel pump and a "lean" condition at launch. In other applications mentioned above where the use of a rear mounted cell is acceptable the supply hose should be oversized -12 (5/8" ID). Fuel Cell Vent - Due to the large amount of fuel bypassed back to the tank it is important that fuel cell be allowed to "breathe" with an appropriate vent. KillerRONS.COM recommends an open -6 (3/8" ID) hose as the minimum. If you feel that you must use a roll-over valve or filter it must be oversized, working properly and checked on a regular basis. Let it be known that this will be one of the first things we ask you to check if you have an ill-running engine after after the installation of an MFI system. Return Hoses - All return hoses that carry bypassed, low-pressure fuel should be dedicated (not shared among bypasses) and dump into the top of the fuel cell as far away from the pick-up as possible. No anti-aeration tubes submerged into the fuel should be used. The third component of the MFI system is the throttle body. The throttle body can be thought of as the lungs of the system. It simply sits atop the intake manifold and delivers air to the engine. The air requirements of the engine is satisfed by one or two bodies with single (Flying Toilet) or multiple (Terminator) throttle blades. The function of the throttle body is nothing more than to control air flow to the engine from idle all of the way through wide open throttle. The fourth component of the system is the barrel valve. This is the brains of the system that utilizes a rotating spool within the valve. The spool's positioning at various throttle positions dictates the amount of fuel delivered to the engine and bypassed to the fuel cell. At the idle position the barrel valve spool sets the idle mixture. With an MFI system you want an idle mixture that is just rich enough to prevent a lean hesitation when the throttle body is opened to partial and wide open throttle. An incorrect idle mixture (excessively rich) along with improper use of the fuel shutoff cable can result in excessive fuel consumption and contaminated oil. This is the single most form of user error in these systems. The idle mixture can be set with the use of a leak down tester or it can be done visually. This is discussed in more detail elsewhere on the website. The main bypass pill controls the amount of fuel bypassed back to the fuel cell at partial and wide open throttle. Larger orifice pills lean the partial and wide open throttle mixture by allowing more fuel to be bypassed back to the cell (allowing less to the engine). Conversely, smaller orifice pills richen the partial and wide open throttle mixture by bypassing less fuel back to the fuel cell (forcing more to the engine). The main bypass pill in a typical Ron's Fuel Injection system is located within the barrel valve assembly behind the allen plug and pill spring. The main bypass pill can be changed in a matter of seconds with no gaskets or draining of fuel required. The final metering in the system takes place after the main bypass pill at the nozzle jets. In a Ron's Fuel Injection system the nozzle jets are installed in the nozzle bodies in each individual runner. The nozzle jets are the only components in the MFI system that do not work in a bypass state. Larger nozzle jets allow more fuel to pass through to the engine whereas smaller nozzle jets allow less fuel to pass through to the engine. The relationship between the orifice sizing of the main bypass pill along with the eight nozzle jets sizing determines the amount of fuel that is delivered to the engine at a specific pressure. New systems are shipped with a baseline setting for the engine's power rating. KillerRONS.COM can also offer free baseline main bypass pill and nozzle jet tune-up recommendations by filling out the questionnaire here. In a small number of MFI an extra bit of bypasssed fuel is required at various RPM's and/or throttle positions. These can be in the form of pressure activated poppet valves or mechanical or electronic valves with bypass pills installed. These are discussed in more detail elsewhere on the site. In summary, MFI systems are quite simple if you think of them in simple terms as we have tried to do above. If you have any questions do not hesitate to ask a KillerRONS.COM technician via email or a phone call. 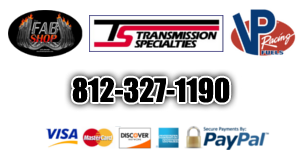 We strive to be available any day at any time so go ahead and contact us, we will be looking forward to helping you.